Everything vibrates... tradition and modern science are in agreement in this matter. In this audiobook, you will find powerful sounds to soothe the mind, to increase well-being, and a wonderful and profound power to get in direct contact with the body. The sounds directly reach every single cell, the entire energy field, and bring it back into balance. Our thoughts vibrate, our words vibrate, our organs vibrate: everything vibrates in a certain rhythm, a certain frequency, or a certain resonance. If this vibration is not in balance, it can lead to mental and physical discomfort, which is manifested by various symptoms. 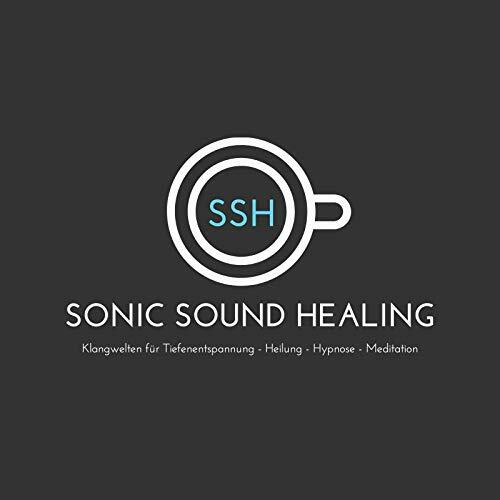 In a joint session, two sound-healing luminaries play unique compositions of penetrating power, creating fascinating sounds: a powerful, vibrating force field that deeply penetrates the organism. This way unprocessed emotions and energy blockages can be resolved on all levels, so that everything can flow again and vibrate in harmony. and to create inner balance. The pulsating tones feel as if they gently stroke the body from the inside and penetrate each and every cell. Many people find this so enjoyable that they fall asleep while listening. Others experience lucid images, as the frequencies created correlate closely with REM sleep, an EEG-detectable brain wave curve that occurs in a state of deep relaxation and during hypnosis. It's as if the gates are opened to other levels of consciousness and we are invited to enter.